Home Entertainment Who is Foster Sanders? Foster Sanders was born and raised in Baton Rouge, Louisiana. He attended Louisiana State University, where he received a B.A. in History, and later, a Juris Doctor Degree. In addition to his extensive career in law, public and civic service, Sanders has enjoyed many interests, particularly those involving being out in nature, making him a lifelong outdoorsman and conservationist. While in college, he served as Director for Youth Sunday School at Fishing Bridge, as part of the Yellowstone National Park Church Services, growing his love of being outdoors and creating a tradition of returning to Wyoming to see the Yellowstone and Teton area. He served two terms as president of the Baton Rouge Sportsmen’s League, with the League receiving a national award for its conservation efforts during his second term. Sanders went on to found Save The Atchafalaya Basin, Inc., which fought for non-development and preservation of the Basin for generations to treasure and enjoy, and brought statewide attention to the issue. He served as President, chief fundraiser, and voice of the organization that championed the issue, and resulted in the compromise reached between Basin landowners, Louisiana oil and gas giants, and environmentalists; it is considered one of the most remarkable conservation achievements in the history of Louisiana. His was recognized by the Louisiana Wildlife Federation, The National Wildlife Federation, and Sears Roebuck and Co. for his “Outstanding Contribution to The Wise Use and Management of Louisiana’s Natural Resources,” as well as his personal leadership and dedication to the cause. His unwavering and continual support of natural resources and wildlife habitats has earned him several similar awards throughout the last decade. 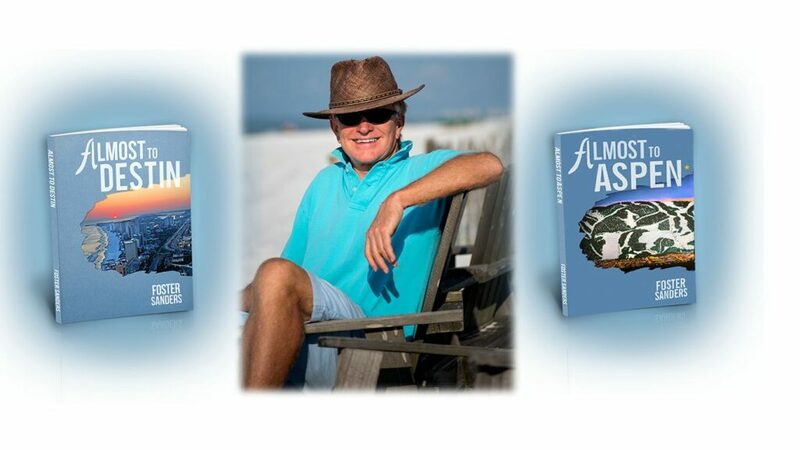 As a resident of Destin, Florida for the last fifteen years, he has continued his conservation efforts and put together exceptional wildlife habitats in both Florida and Mississippi. Seated on the Jackson County-Calhoun County Line, Sassy Squaw Ranch – named in honor of the Creek Indian woman who brought her family to settle the area – is one of Northwest Florida’s most unique Florida Stewardship Programs. The beautiful centerpiece of this ongoing wildlife management project is the 28-acre Boggs Pond. Sanders acquired the cypress swamp and hardwood forests that surround Boggs Pond to preserve the rich history and improve the habitats for the highly diverse wildlife population. The Emerald Coast Wildlife Refuge has supported and aided his efforts, and Sassy Squaw Ranch is maintained under advice from Florida’s Fish and Wildlife Conservation Commission. Sassy Squaw Ranch can be visited for both bird watching and plant identification activities. 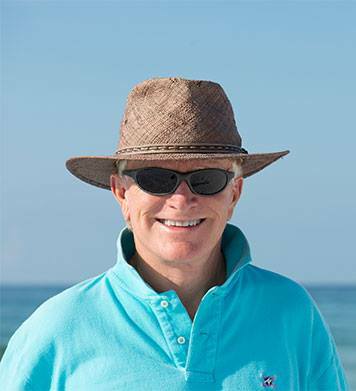 As a co-founder of the Emerald Coast Philosophical Society, Sanders is a frequent speaker before this group, in addition to several other groups in the Northwest Florida area. Sanders’ first novel – Almost to Destin – follows Leila Jane Hewitt through the fictional Ebenezer Forest, which is based on the Choctawhatchee River Basin. He considers the River Basin to be one of the true treasures of Florida and similar – although smaller – to the Louisiana Atchafalaya Basin he fought to preserve.